WhiskerBox is a monthly subscription box containing treats, apparel and toys for your “feline” fur baby(ies). Today, we will be reviewing the WhiskerBox October 2016 cat subscription box. The theme for October’s WhiskerBox is Skeletons In The Closet. 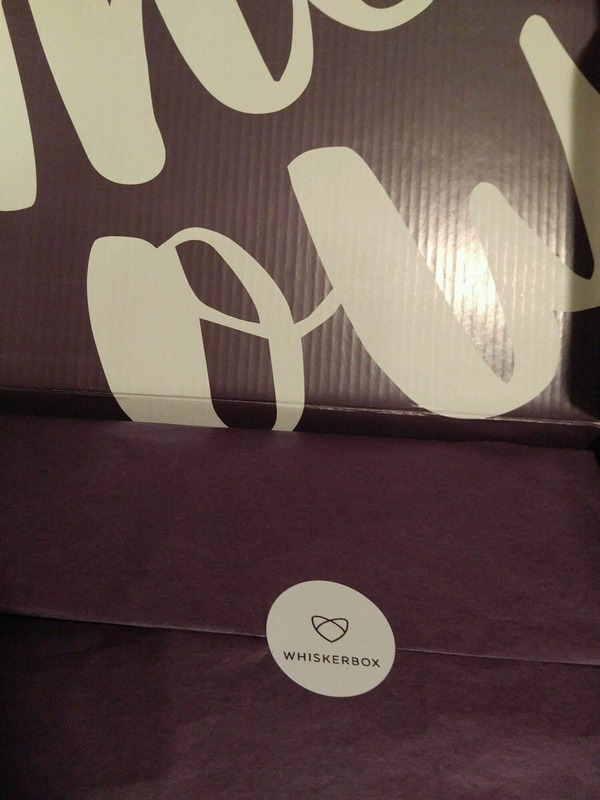 The WhiskerBox is a purple and yellow box with purple tissue paper wrapped around your kitty’s goodies. A WhiskerBox sticker holds everything together. 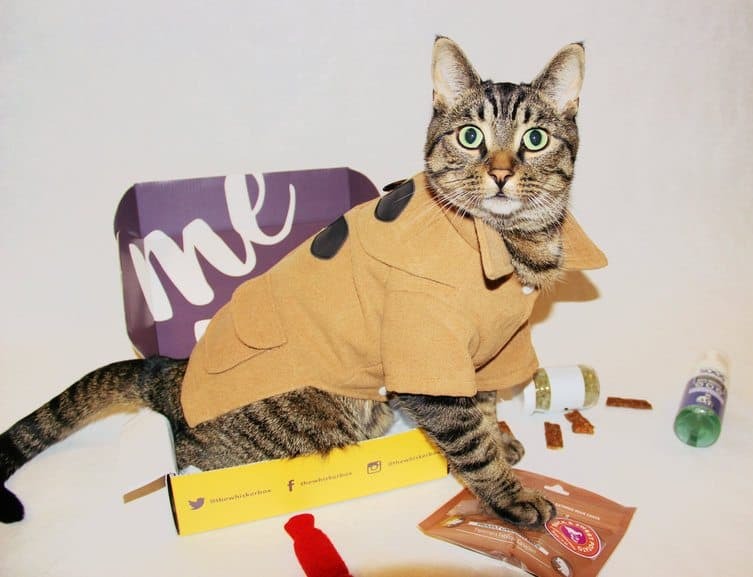 Each WhiskerBox is customized to your cat by weight and name. You also get a full “Meow Menu” inside which shares all materials and ingredients used or not used, pertinent information and designers of each product. First on the menu is “Play.” A Skeleton Crisp Toy made by For Mew, is the first thing we laid out in front of our kitty (his name is Jeremy). This “exclusive, handmade catnip, fabric crinkle” toy is right up Jeremy’s alley. He goes crazy (as most cats do) for catnip and the crinkly feeling and sounds entertain him for a good while. 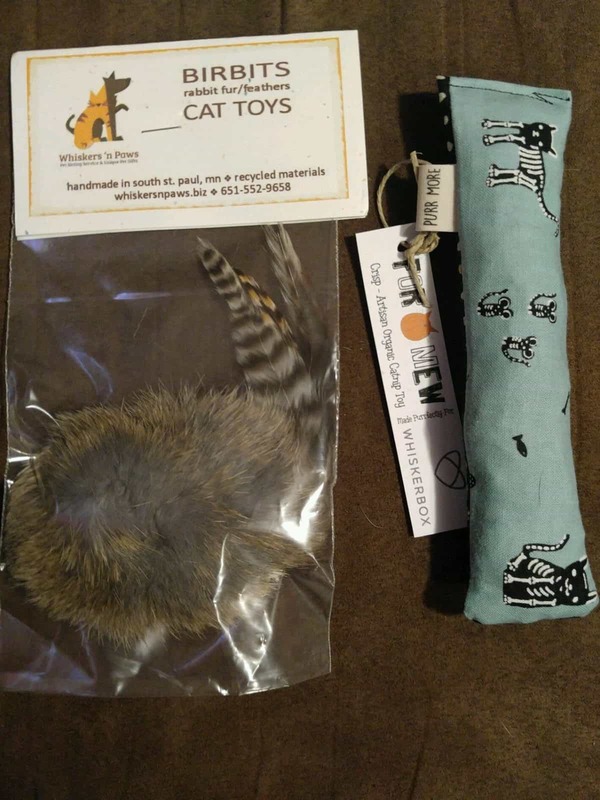 Packed full of crinkle material and catnip, the toy measures about 5″ long by an inch wide . The fabric on one side is black with white polka dots, gray cat head figures and gold paw prints. The other side has a light blue background with skeleton cats and kittens. 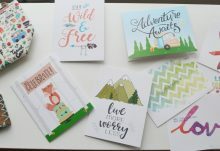 When you purchase from For Mew/Owner Stacey Young you are helping homeless cats with every item you buy. Along with the Skeleton Crisp Toy on the “Play” section of the menu we have a Birbit Toy made by Whiskers’ n Paws. 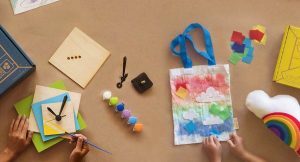 The toy arrives in a clear plastic bag with a cardboard tag attached at the top with staples. Birbit is “handmade with rabbit fur, feathers and hemp cord.” Such a natural toy is great for any kitty to stay in touch with their natural instincts. Jeremy has been playing with it constantly (when he is not sleeping or eating.) The toy is still intact and not torn to shreds, which is quite impressive as he is known to play hard. The size and weight of the Birbit is perfect for him to lay on his back and get it in between all his toes and toss it around in the air. Next, we have the”Taste” portion of the menu. The Egg-Sposive Treat made by Cloud 9 is grain-free with no fillers, no preservatives and no by-product ingredients. An adorable cat head shaped container with an easy access snap-top lid holds the treats. The light brown, dime sized treats are also in the shape of a cat’s head. Jeremy is a very picky eater but, once we broke one of treats in half he continued to want more until we decided it was enough and was time to try the next item on the menu. 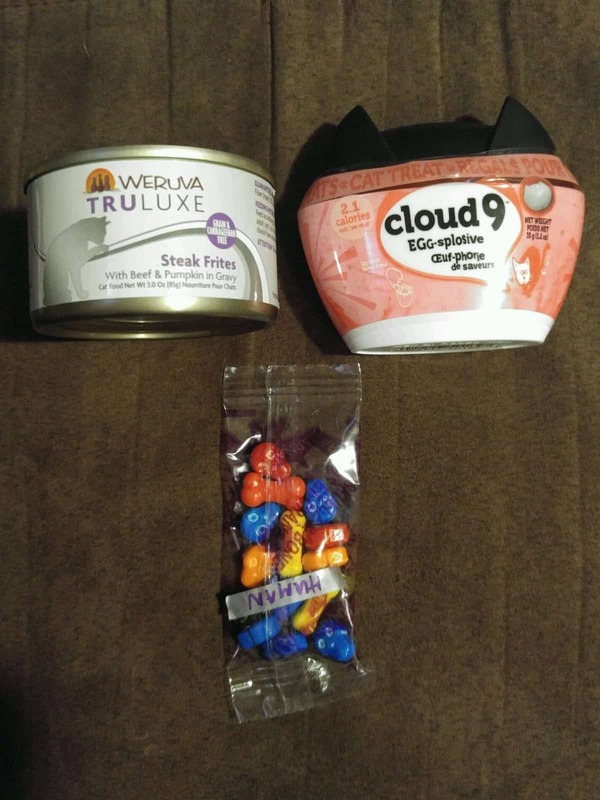 I believe the Truluxe Premium Food made by Weruva was Jeremy’s favorite item in this month’s WhiskerBox. The Truluxe Premium Food ingredients are grain-free, GMO-free, MSG-free, and Carrageenan-free. The punch/pull back tab allows you to open the can without a can opener. Jeremy received the Steak Frites with beef and pumpkin in gravy Truluxe canned food. You can see full chunks of steak, potatoes, carrots and pumpkin within the gravy. On the back of the can they give you an ATTENTION that “This product may increase your cat’s 9 lives to 10.” WhiskerBox even included additional candy for the humans! Last, on the menu we have the “Style” section. Jeremy received two apparel items. 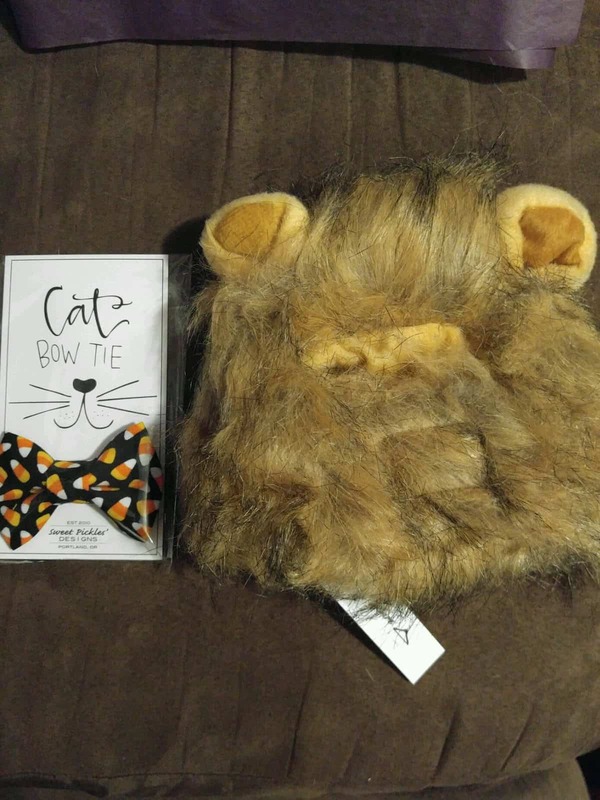 A Lion Mane Costume made by Cat Couture and The Sweet Tooth Bow Tie made by Sweet Pickles’ DESIGNS. The Lion Mane Costume is made with faux fur and velcro strap. The strap is easily adjustable and then can just slip over his head. 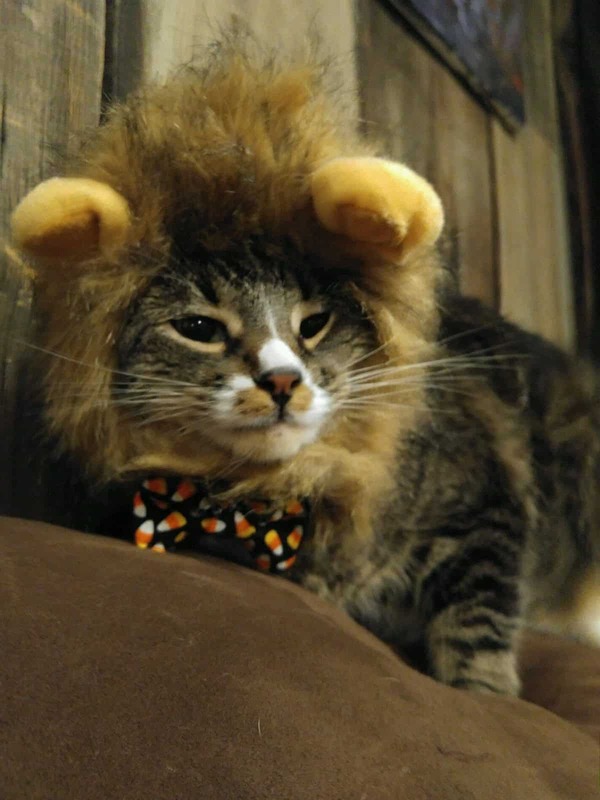 This “limited edition” costume transformed Jeremy into a ferocious little lion. He hates getting dressed up, of course, but he tolerated it for a short while. The Sweet Tooth Bow Tie is also “limited edition” and is handmade with thread, cotton and elastic. It was a bit more favorable for Jeremy. With an elastic band on the backside center of the tie, it simply slips onto his collar. 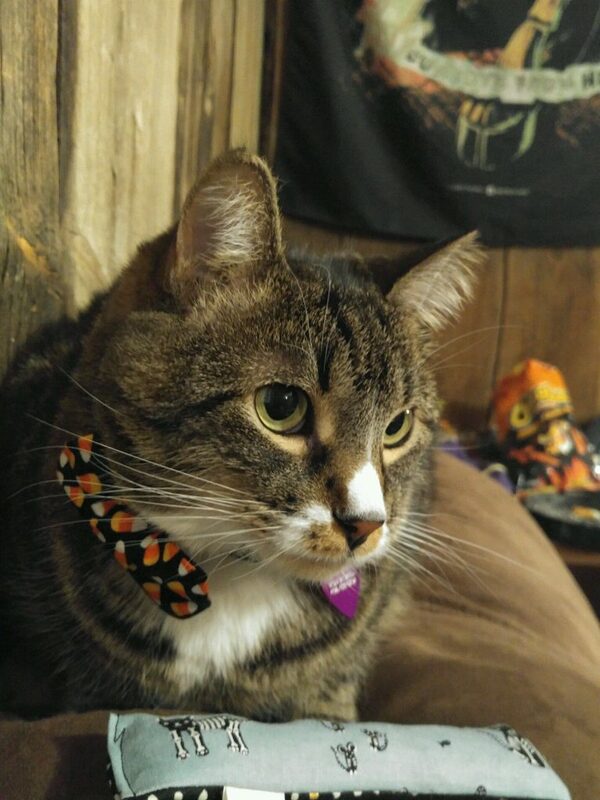 The tie is black with a scattered candy corn pattern. Jeremy doesn’t even notice it is there and he looks so handsome and gentleman like. 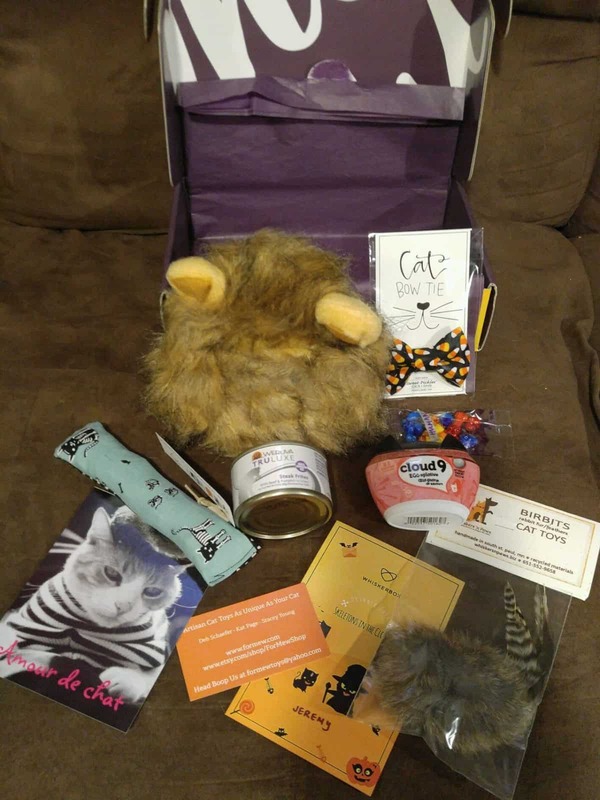 Jeremy loved his goodies from the WhiskerBox October 2016 box and I’m sure your kitty will too. I strongly recommend trying a WhiskerBox for your feline family member(s). Thank You for reading! 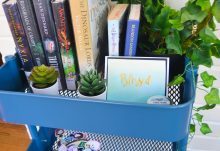 How would you rate WhiskerBox ?